Please join us for this stewardship session. Depending upon the site or week, we will be doing a variety of tasks such as removing sweet clover, burdock and wild parsnip, cutting brush, gir­dling saplings or otherwise reducing the competition to our native prairie, woodland and wetland remnants. You Supply: Wear long pants, long sleeves, socks long enough to tuck your pant legs into (for tick avoidance), a hat and footwear that can get wet (earlier is dewier!). Take along insect repellent and sunscreen. We Supply: Tools, gloves, water, snacks and directions about our work always will be provided. Carpool from the Staples east lot in Freeport at 6:30 a.m. The preserve is located about 3 miles southwest of Forreston in the southeast of West Grove and Freeport Rds. The parking lot is off West Grove Rd. If the weather is questionable or you need more information, contact the listed leader(s). Carpool from the Staples east lot in Freeport at 7:30 a.m. The preserve is located about 3 miles southwest of Forreston in the southeast of West Grove and Freeport Rds. The parking lot is off West Grove Rd. The tour of Wishful Acres Farm & Brewery has been cancelled. The carpool site is the east portion of the Staples parking lot in Freeport along HWY 26 on the south edge of town at 7:15 a.m.
Almost-a-Full-Moon Campfire at our Elkhorn Creek Biodiversity Preserve. At 7 p.m. we’ll stroll the trails, observing birds and blooming plants. The campfire begins at 8 p.m., with a good chance of hearing Screech Owls after dark. S’mores and water will be provided. Bring a lawn chair and a flashlight. Carpool from the Freeport Staples lot at 6:30. The preserve is located about 3 miles southwest of Forreston in the southeast corner of West Grove and Freeport Rds. The parking lot is off of West Grove Rd. If weather is questionable call Mary at 815-938-3204. Join us for a fun, informative family friendly afternoon as we explore the Elkhorn Creek Biodiversity Preserve for the many butterflies that are found there. 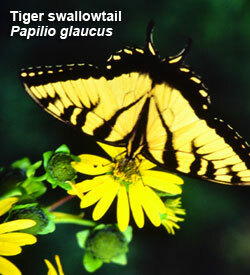 From 1-5 p.m. participants may join guided butterfly tours or look on their own for those winged beauties. Tours will begin at 1:00, 2:00, 3:00 and 4:00 p.m. “Illinois Butterflies and Moths” pocket guides will be distributed at no charge while supplies last. We’ll have a shady rest area with chairs, as well as a restroom, cold beverages, snacks and information about pollinators. If the weather is questionable, call Mary Blackmore at 815-938-3204 before 10 a.m. on July 28. Explorers at previous Butterfly Festivals have found 31 species of butterflies and skippers, among them Buckeye, Red-spotted Purple, Painted Lady, Giant Swallowtail, Great Spangled Fritillary, Silver-spotted Skipper and Monarch. The preserve is located about 3 miles southwest of Forreston in the southeast corner of West Grove and Freeport Rds. The parking lot is off of West Grove Rd. This event is free and open to the public. We hope to see you there! “Talking About the Issues” discussion session at the home of John and Anita Nienhuis, 3350 S. Mill Grove Rd., Pearl City, 815-443-2401. The first hour topic will explore the many reasons for the dramatic population decline of Rusty Blackbirds, a species we observe locally only during migration, how those factors are being addressed and how we can help. For a copy of the article, “Rising From Obscurity, Falling in Numbers,” contact Mary Blackmore at 815-938-3204.